hassle free grooming to ALL pets! the PetVac using the adaptor included. 1 Can I use PetVac after giving my dog a bath? hair from your pets after a bath. 3 Is the PetVac safe to use on my cat? your house from both cats and dogs. Unique in it’s kind! The ultimate grooming tool to remove loose undercoat hair from a furry pet. 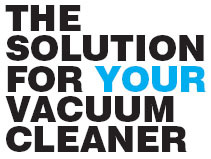 1 Attach the Shed Eliminator to the hose 1 of the PetVac and start combing your pet. 2 The action not only takes out hair, but also entraps flees and ticks. 4 Potential allergic reactions of the groomer or others in the vicinity are greatly reduced. de-shedding tool in the world!